It is a common lamentation (and a media favourite) to bemoan the passing of large Canadian companies into the hands of foreign owners. Quebec society, for a host of reasons, has been and remains particularly sensitive and reactive to these occurrences. Yet, no sovereign country can be indifferent to the fact that important economic decisions get to be made abroad and according to the financial imperatives of foreign owners. The situation is even more fraught with political fall-out when the prospective acquirer is pursuing a hostile takeover. Even in the United States, various mechanisms make it very difficult to carry out an unwanted takeover of a company. This issue acquires more saliency when a foreign takeover targets a so-called «industrial champion». If several are taken over in a short period of time, it becomes a political issue. Back in 2007 after the takeovers in quick succession of Alcan, Falconbridge, Inco and others, the federal government, in response to public outcry, set up the Competition Review Panel. The Panel made several wise recommendations, none of which seems to have been implemented. The crisis, and the public’s attention to the issue, had waned and thus Canada remained wide open to takeovers, foreign or domestic. Ranked among the top five companies globally (by revenue) in a specific market segment. The ICP carried out this analysis for the years 2003, 2008, 2009, 2010 and 2011. Based on the above three criteria, there were roughly 40 companies which qualified as «Global Leaders» in each of those years. But the make-up of that list changes radically over the years. 4 went bankrupt or were re-organized: Abitibi-Price, Nortel, Quebecor World, Tembec. Of the 25 firms from the 2003 list still going strong in 2016, no less than 15 are controlled corporations, 10 of which through a dual class of shares. Only 10 of the 25 companies still qualifying as industrial leaders were widely held, one-share-one-vote, companies. In fact, two of these ten companies could not be taken over as they are protected by legal provision (Manulife) or their by-laws (CN). So, of the 25 surviving industrial leaders of 2003, no less than 17 are protected from unwanted takeovers. Of the 15 companies that were dropped from the list of 2003, only one (Quebecor World) had a controlling shareholder. The last year for which the ICP compiled this list of industrial leaders was 2011. Compared to their 2003 list, there were 18 new companies identified as global industrial leaders. Again, of these 18 companies, 7 were controlled corporations, 3 of which through a dual class of shares. There were an additional 4 companies which could not be taken over because of legal prohibitions of takeovers in their sector of activity (banks and insurance companies, airlines). So, of 18 additions in 2011, there were 11 companies with a capital structure or a legal environment which supported a long-term management and strategy, relatively immune from the threats and short-term pressures of financial markets. It is an important policy issue for Canada. How did some Canadian global leaders avoid being targeted by U.S. companies during the years when our currency created instant bargains by reducing considerably the cost to acquire a Canadian company? How did these surviving «Global Champions» curb short-termism and manage to stay as best in class of their respective market segments for over a decade? Policy makers should heed the message contained in these eloquent data. Ownership and control of key corporations by residents of the country, a capitalism of owners if you want, have important social and economic ramifications. Headquarters are where the strategic decisions are made, decisions that often impact the broader society. 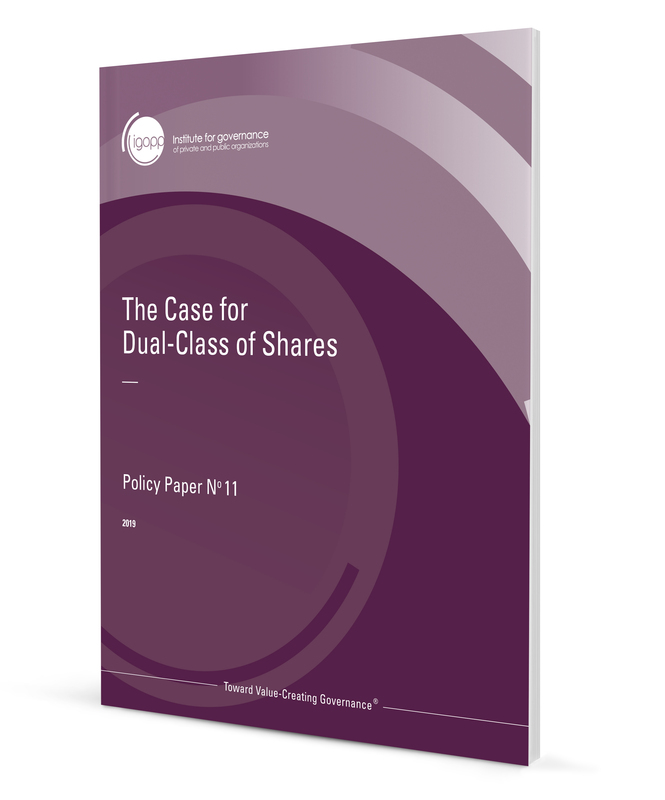 Private ownership, dual class of shares or legal prohibitions on takeovers in strategic sectors ensure these decisions are made in Canada and for the benefits of Canadians.